I hope this month’s Blog finds all of the Heartland members well in to a profitable summer! As an Area Director I have found that many questions I receive could easily be answered if members used BNI Connect regularly and to its capacity. BNI Connect is a powerful tool that is part of your membership, yet it can be overwhelming for some people. I recently read an article by a BNI colleague that I wanted to share. Please take a few minutes to read Robert’s pearls of wisdom and watch the YouTube tutorial. 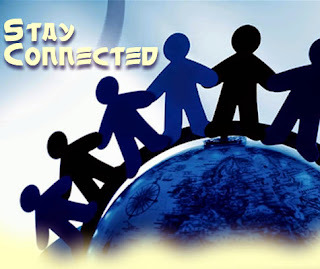 Using BNI Connect to its capacity is an important way that you can help maximize your membership with BNI. There are referrals out there that won’t find you unless you become visible. You will understand why you may not be visible after you read Robert’s article. Before I get fired, let me quickly say, it doesn’t work because we, as a whole, are not using it to its full capacity. I have an online referral company that I partner with and they send me referrals. I shared with them how BNI works and BNI Connect. When they need a contractor in a town where they don’t have a partner they call me and I find them one through BNI Connect. My only problem with BNI Connect is half our members aren’t using it. Their profile is woefully inadequate, if they have even filled it out. Over half don’t list the cities they service. If I search for Nixa MO, you will find only 14 members, Springfield MO only 30 members, Rogersville only 6 members. Even a BNI business owner in Rogersville does not show up because he has not listed Rogersville in his key words. Profile picture. Have a picture; let me say it like this HAVE A PICTURE! Fill out your bio, especially key words: Click on Update profile/ my BNI page. In key words list all the cities you would like for outside members to consider you for a referral. Keep in mind someone may not realize that Nixa is close to Springfield. If a member wanted to refer to you they might search Nixa not knowing Springfield is so close.